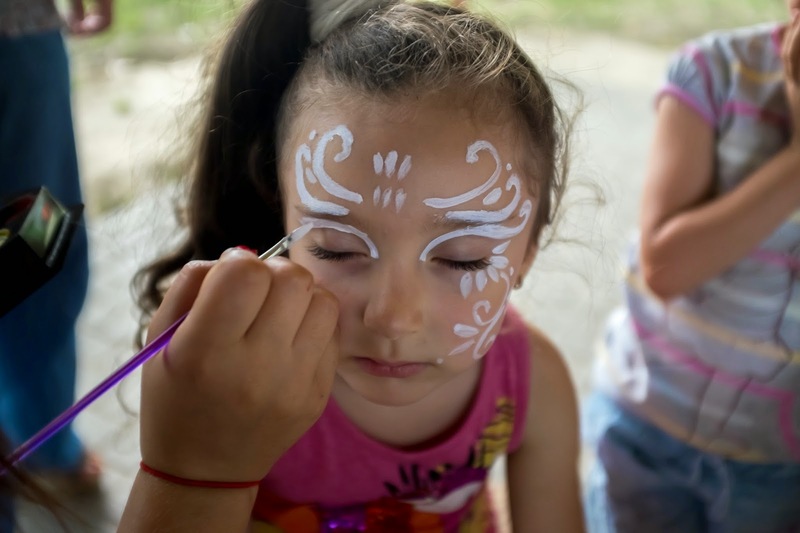 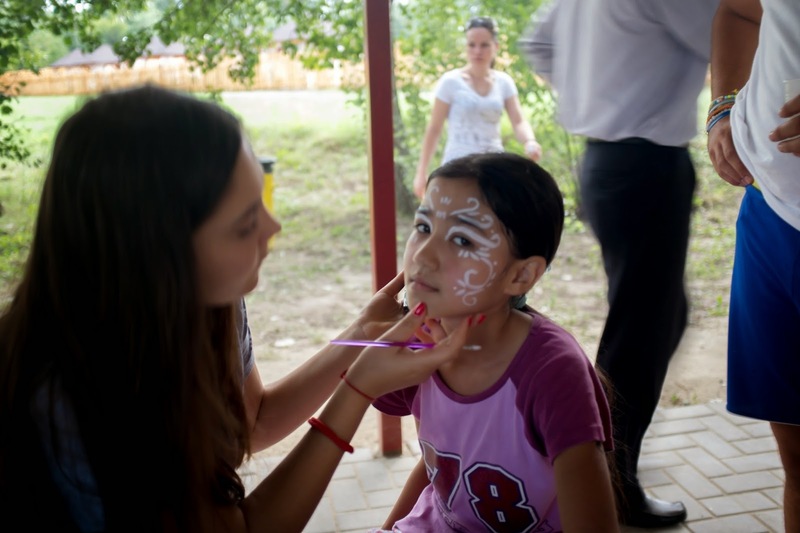 UNHCR Moldova together with its implementing partners hosted a perfect summer picnic for refugees, asylum seekers and local community. 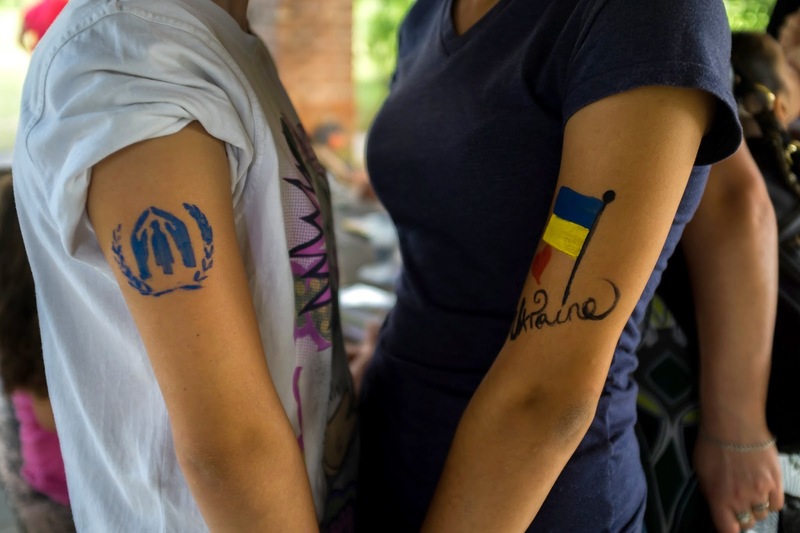 The event served as an opportunity to commemorate World Refugee Day in an informal meeting and to honour the courage and determination of families who have fled their homes because of persecution or violence. 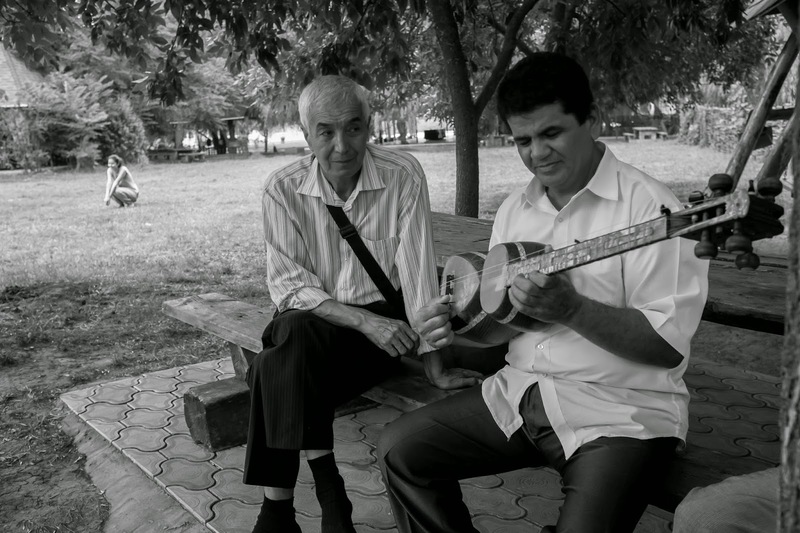 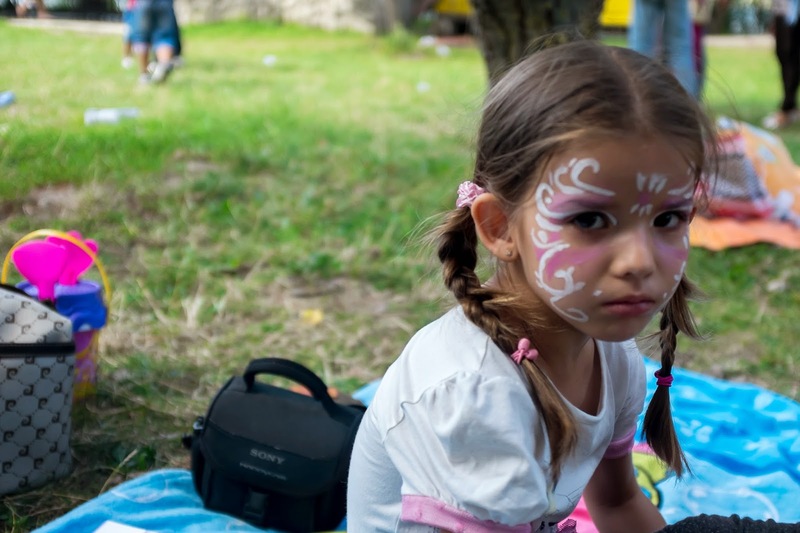 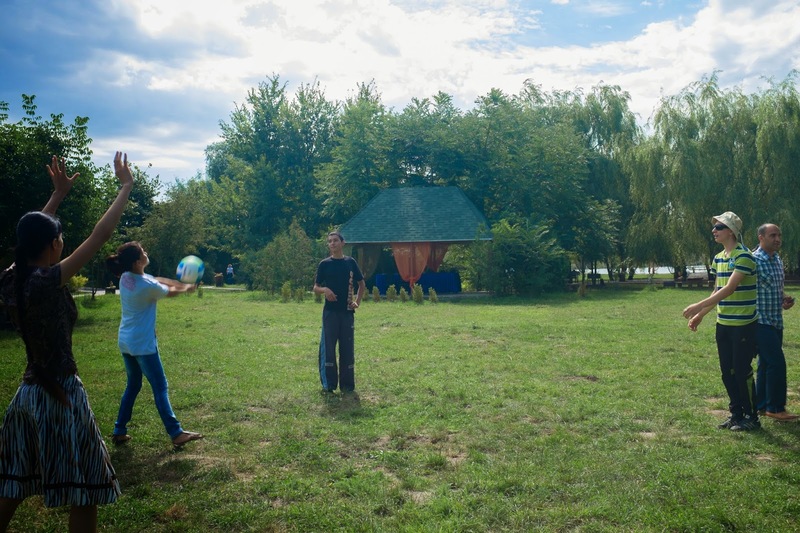 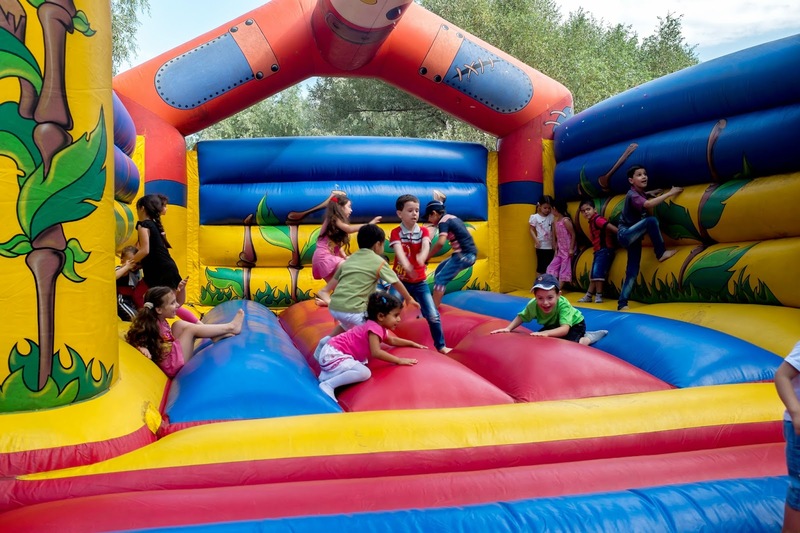 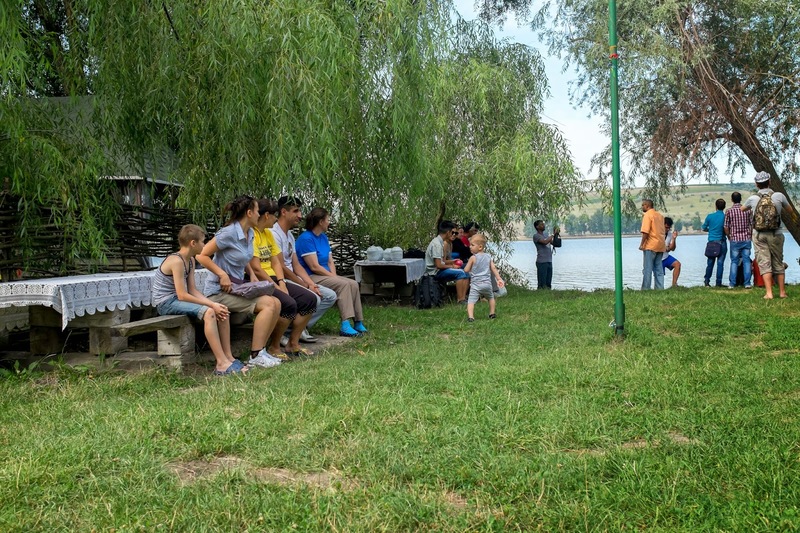 This year the traditional picnic took place on the 2nd of August in the village of Costeşti, district of Ialoveni. 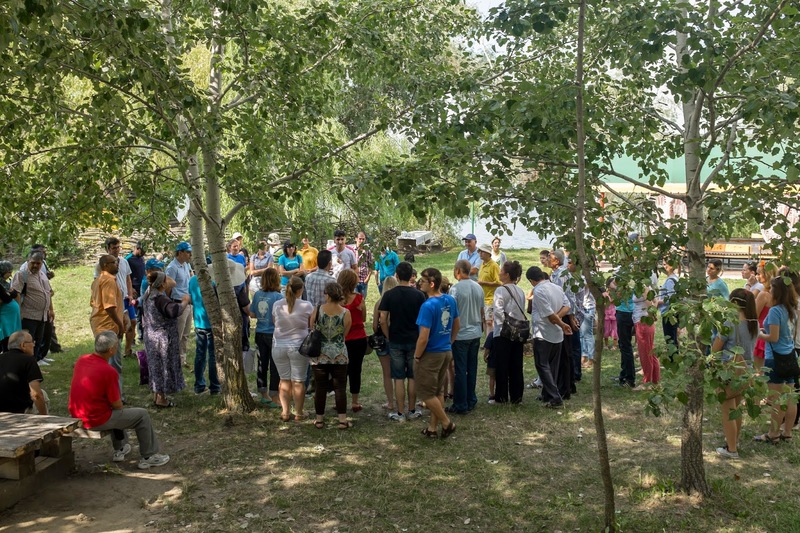 The picnic started with a briefing about the agenda of the day, a short introduction about the UNHCR support for persons of concern in Moldova and presentations of the Bureau for Migration and Asylum and UNHCR implementing partners: the Law Centre of Advocates (LCA), the Charity Centre for Refugees (CCR) and AVE COPIII. 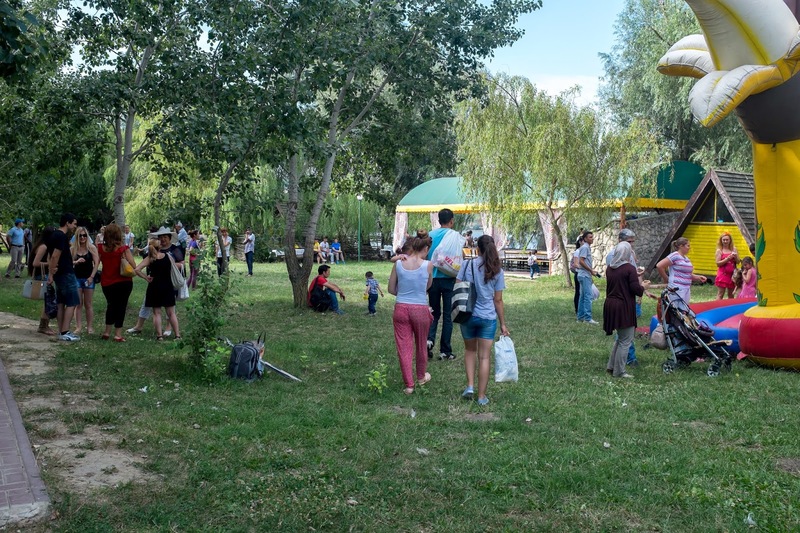 The warm weather along with constant sunshine lasted whole day long and made some people seek shelter under canopies or trees, while others contentedly took sunbaths and enjoyed the heat. 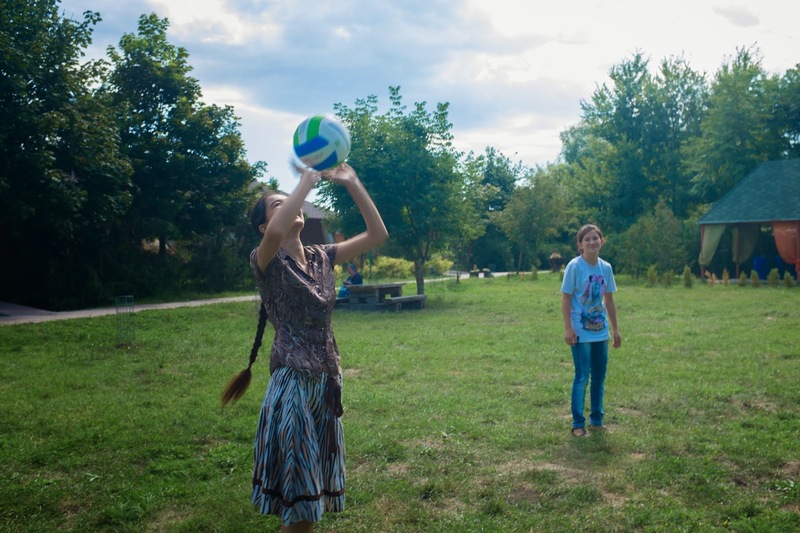 There were quite a lot outdoor activities for both adults and children: volleyball, football, Frisbee, badminton and board games. 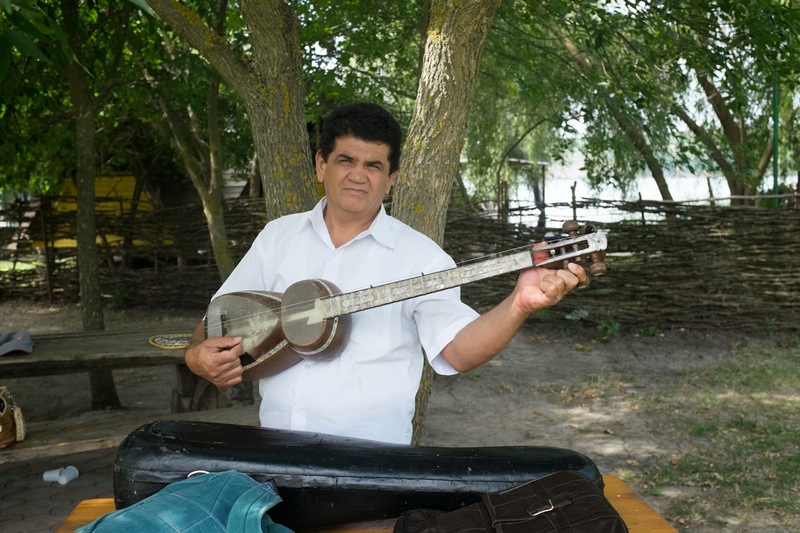 It was possible to make origami and to listen to a musical performance by refugees from Uzbekistan. 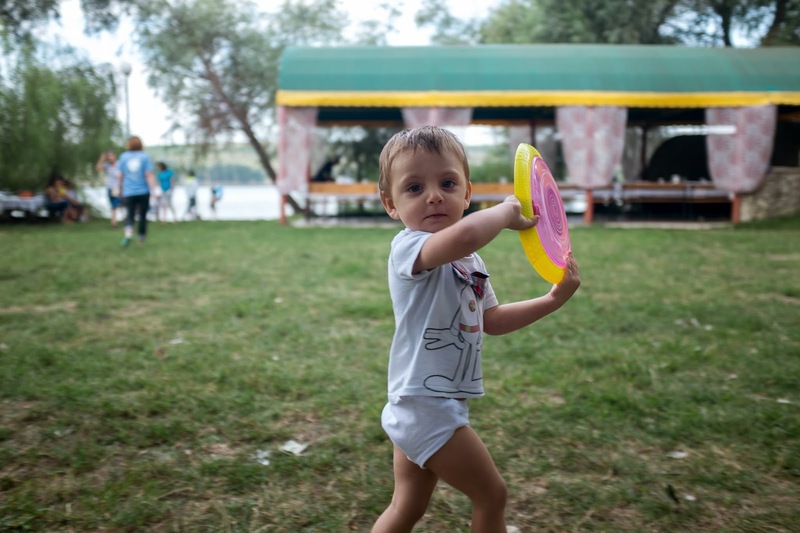 Children had fun jumping on a trampoline, while adults playing games or fishing. 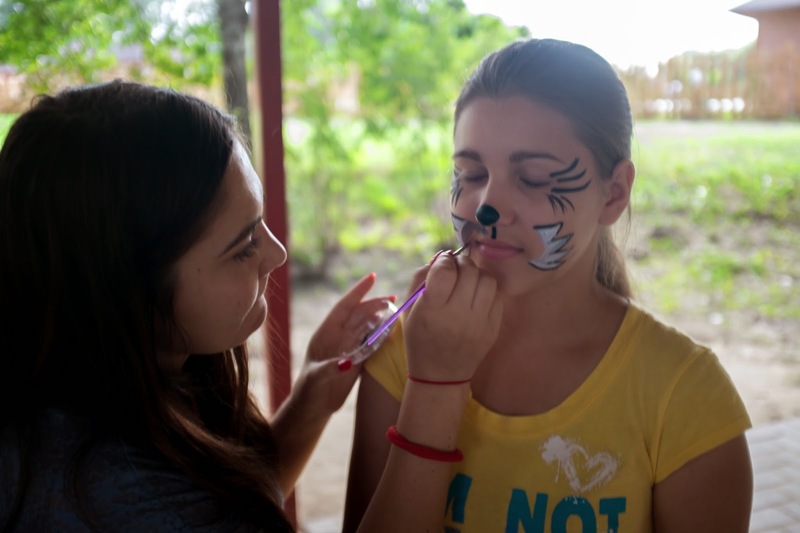 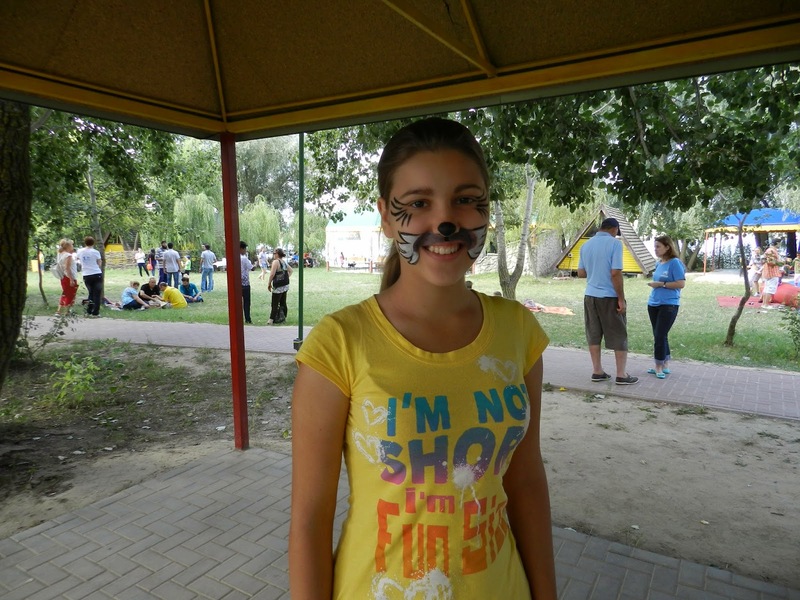 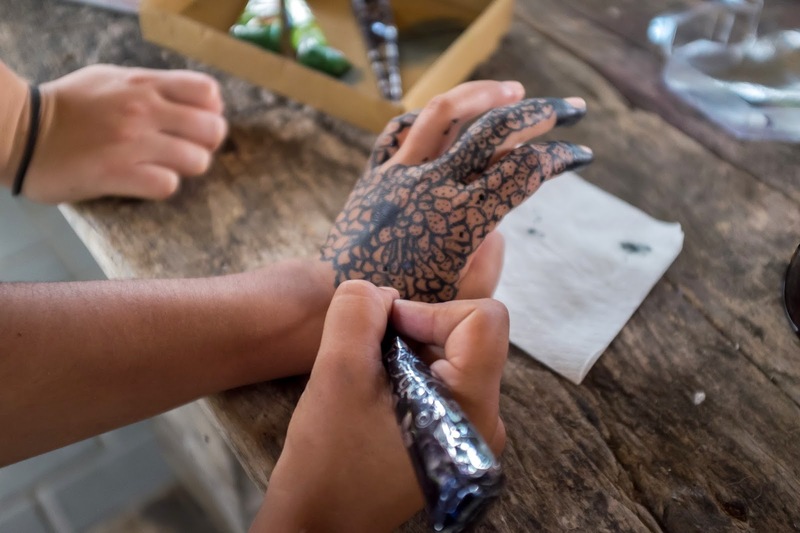 In addition, everybody could have had their faces painted by CCR local and EVS volunteers. 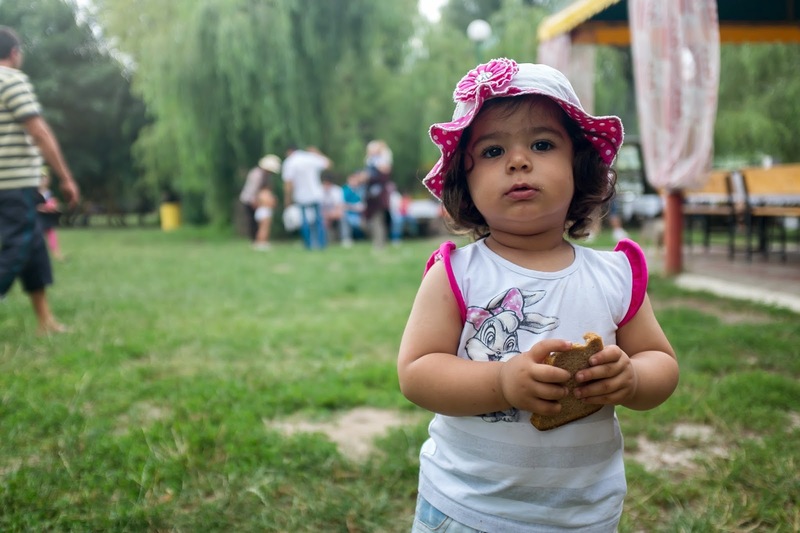 And would a picnic be without food? 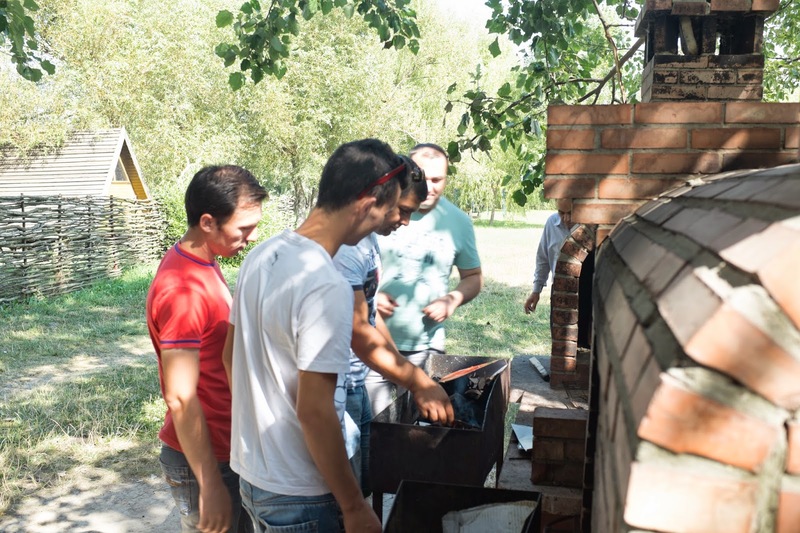 The menu included a variety of dishes, such as the Moldovan national food, barbecue and fresh vegetables. 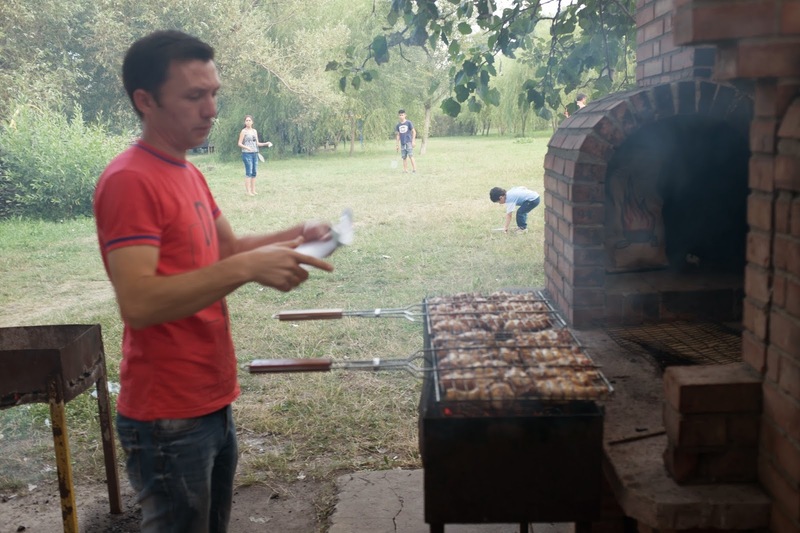 Also, everybody had the possibility to try their hand at barbecuing the meat for all participants of the day. 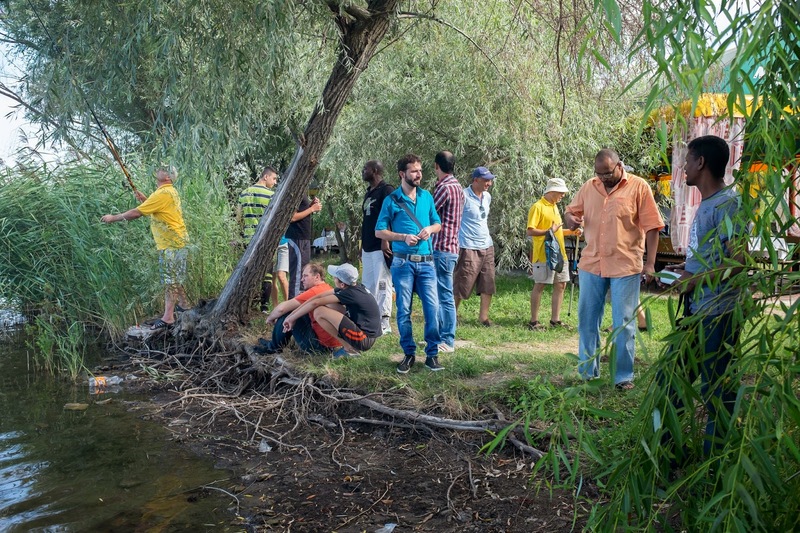 The informal nature of the picnic created an open environment for discussions of new ideas connected to refugee/asylum seeker community and gave a possibility to talk about some problems or proposals. 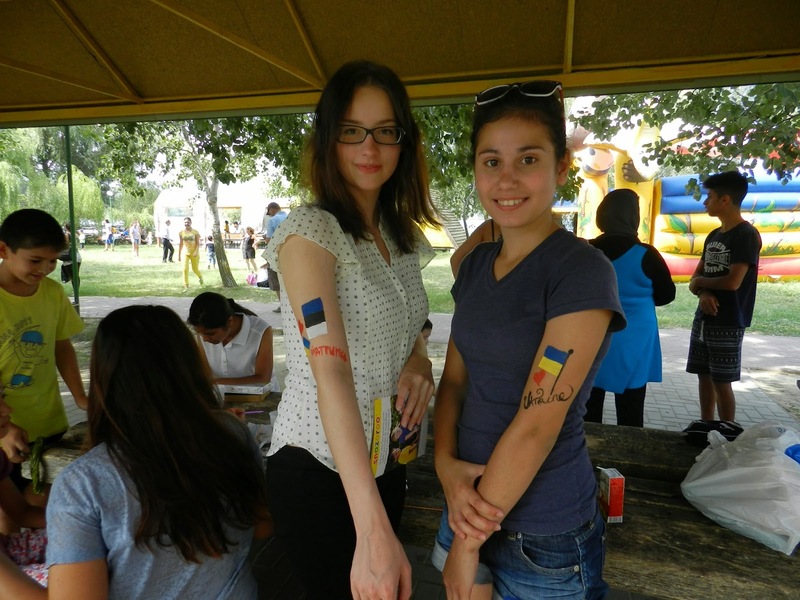 It also gave a chance for gaining new contacts and strengthening intercultural relationships between different nations. 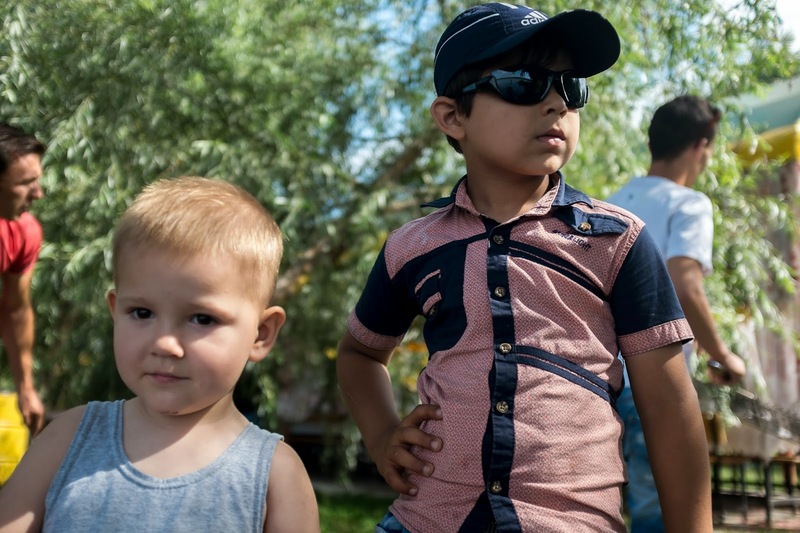 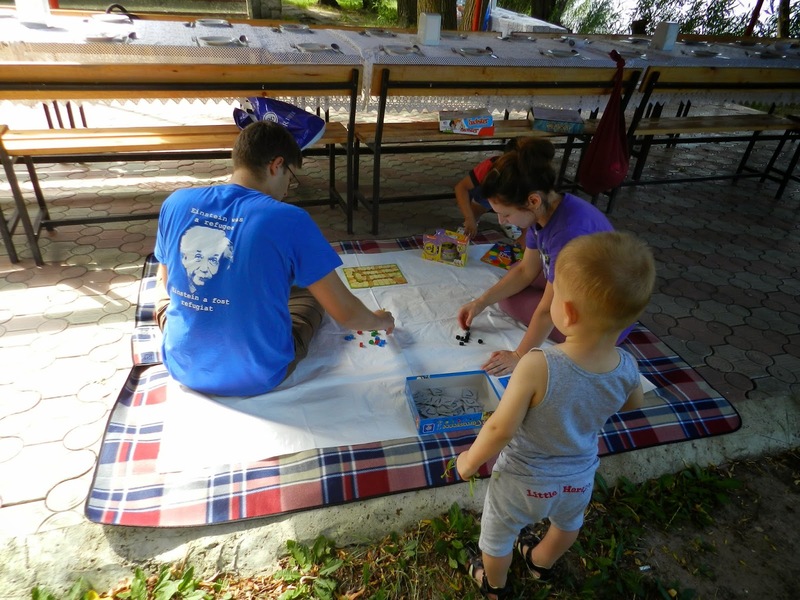 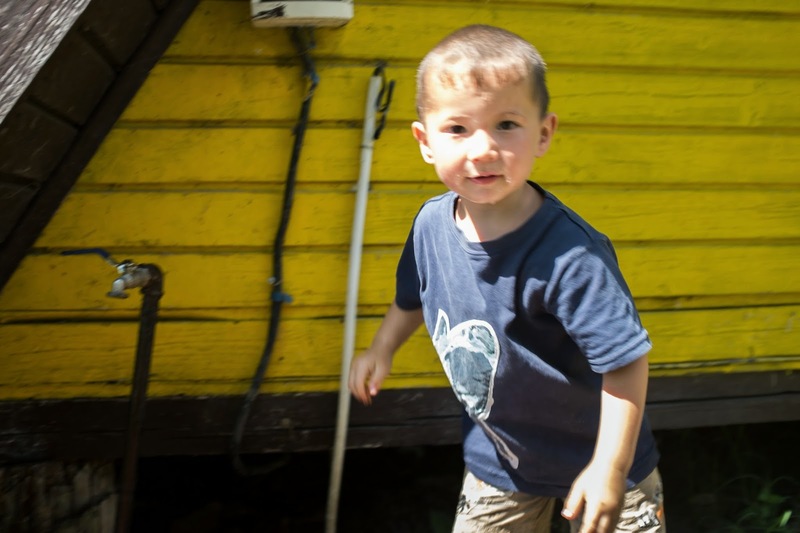 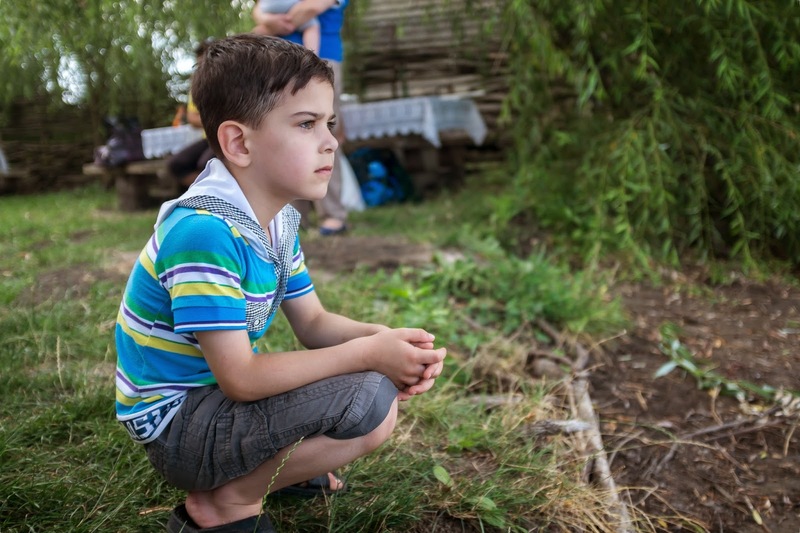 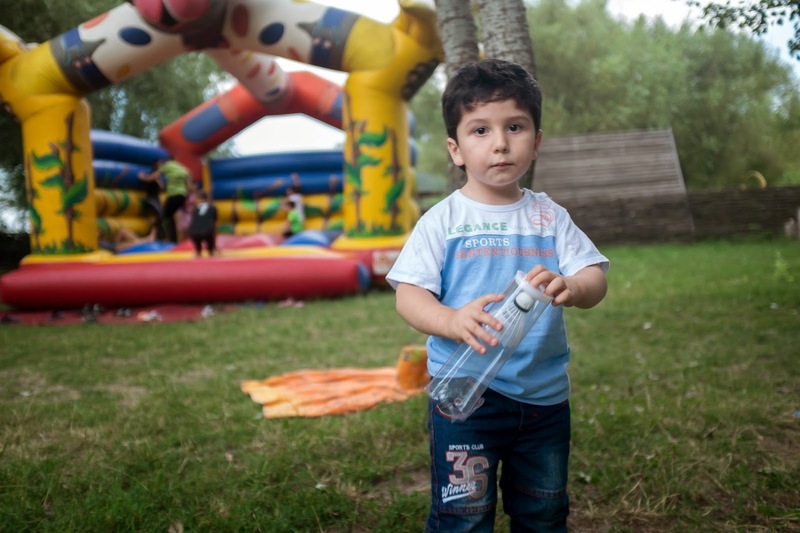 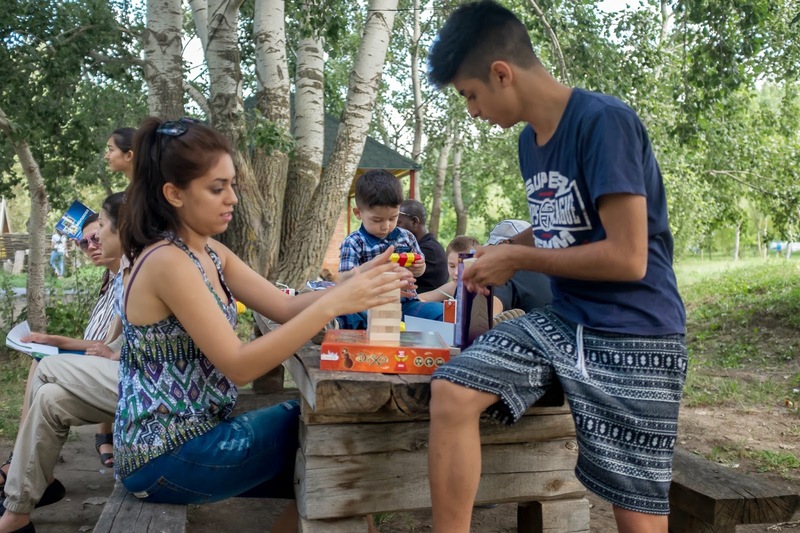 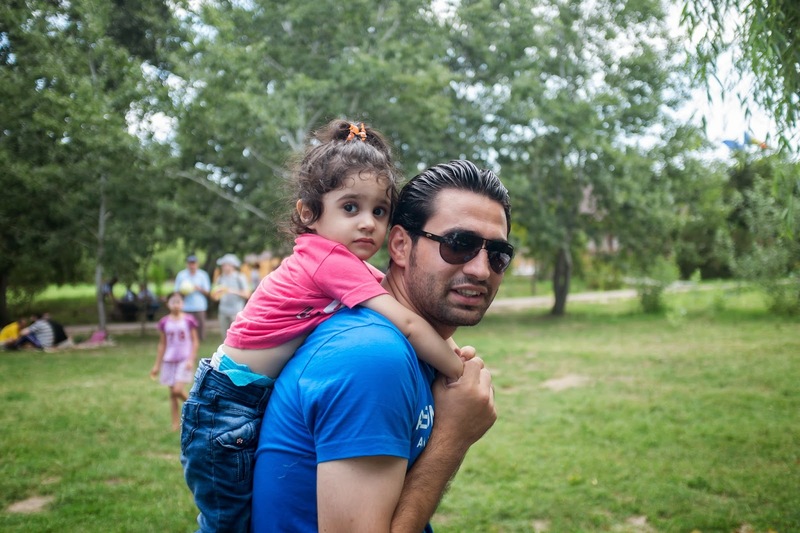 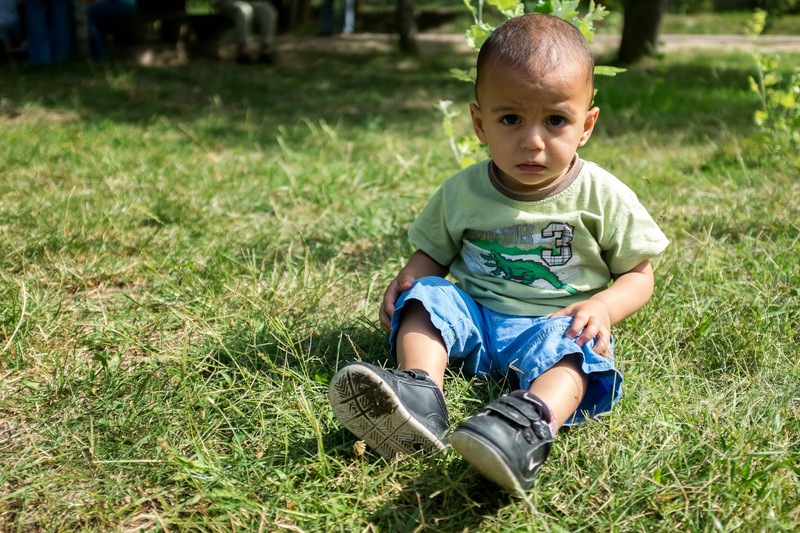 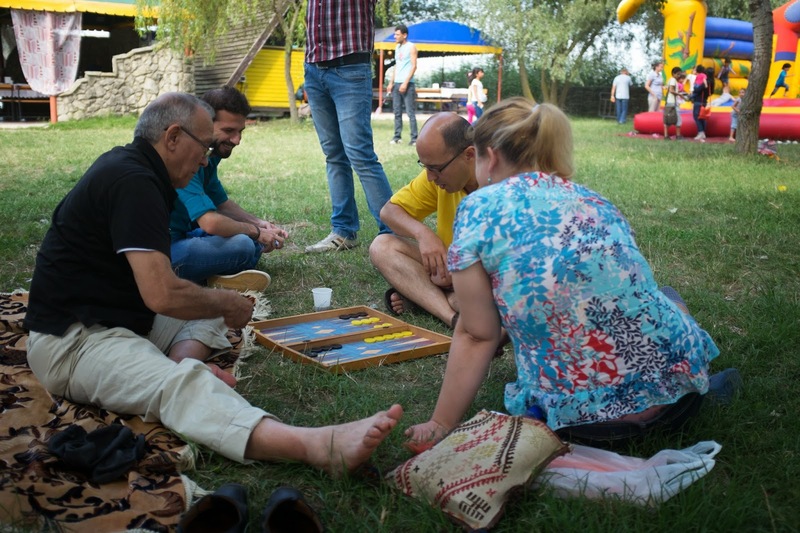 A total of 140 persons, including 90 adults and 50 children, EVS and local volunteers, UNHCR Moldova team and implementing partners, and representative of the Bureau for Migration, participated at the picnic. 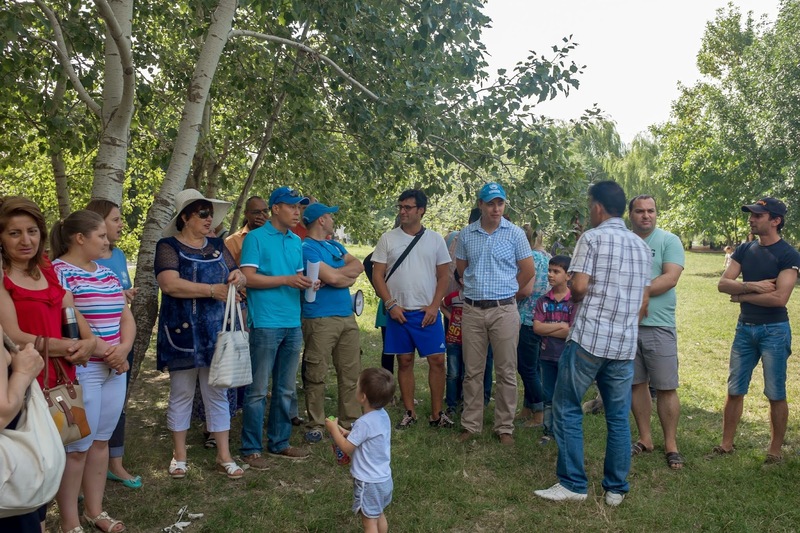 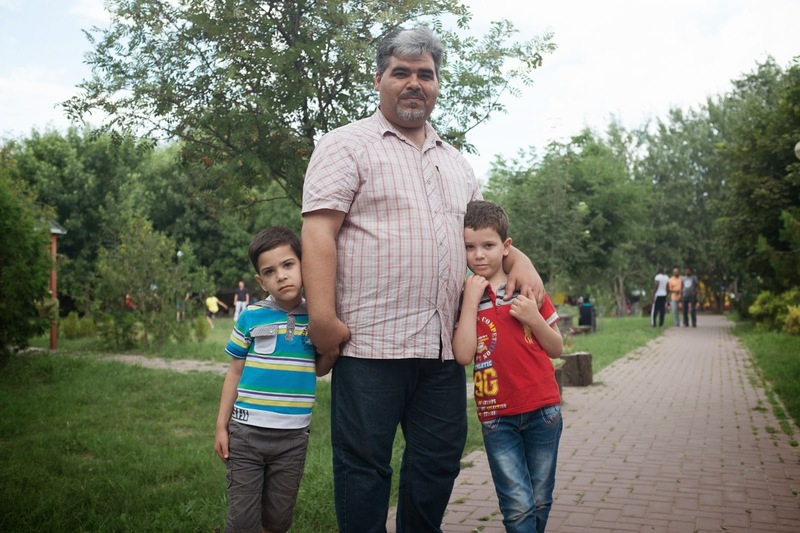 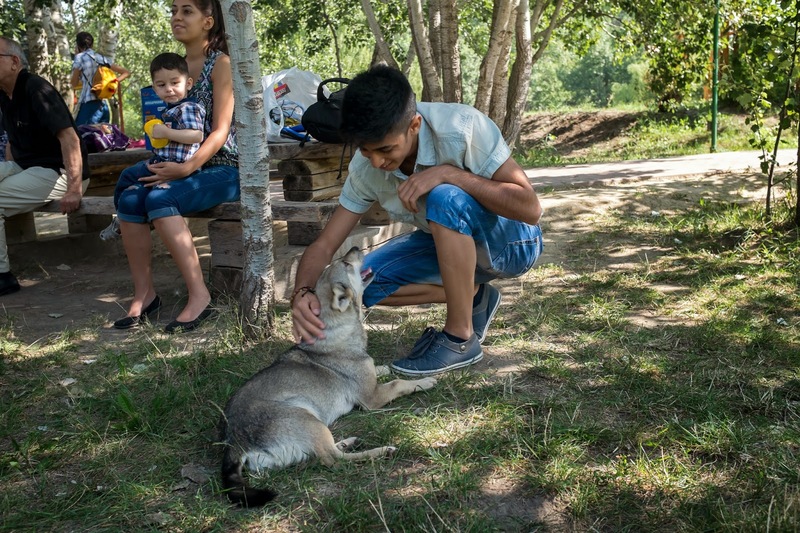 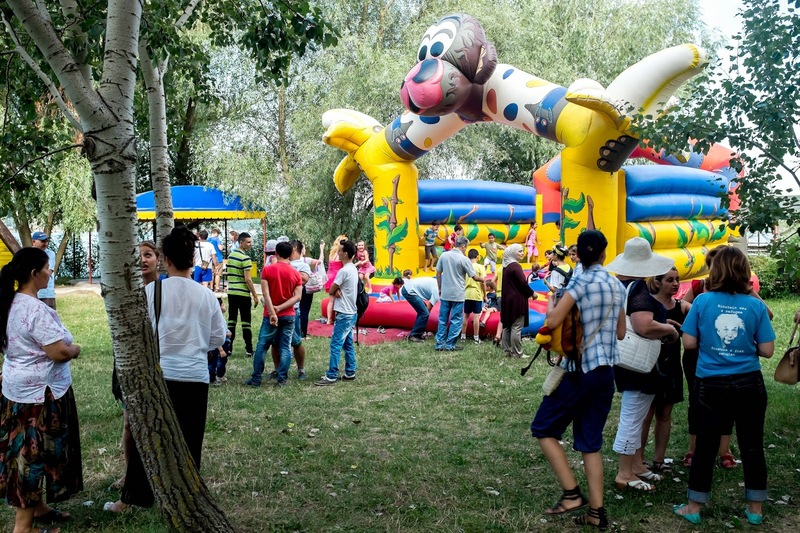 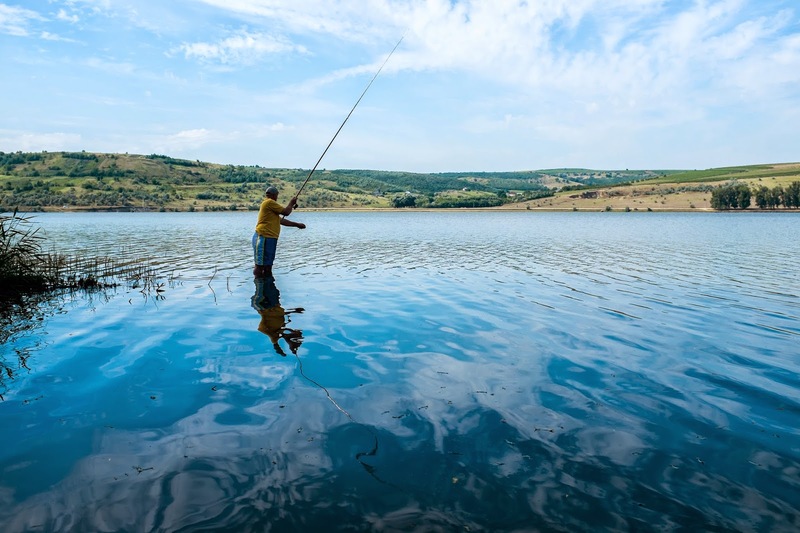 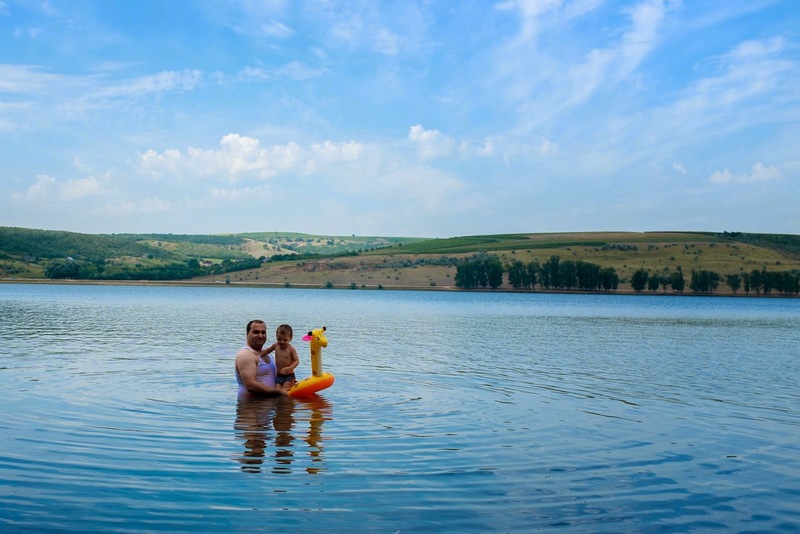 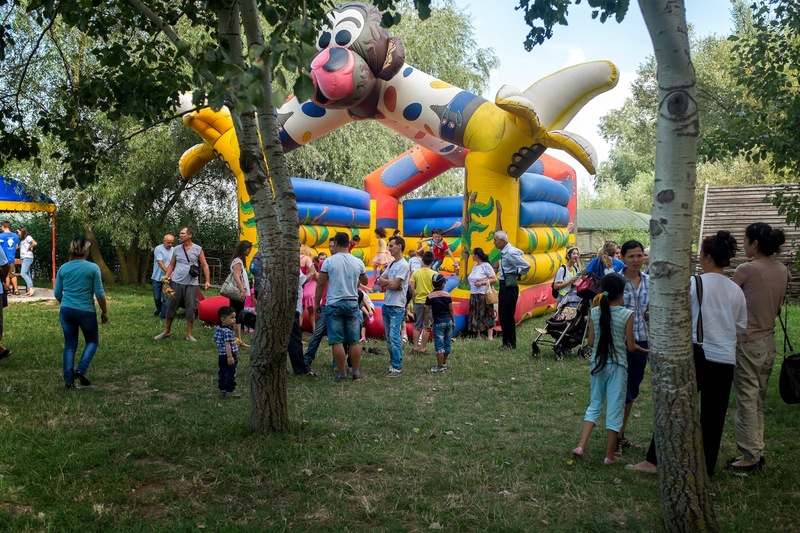 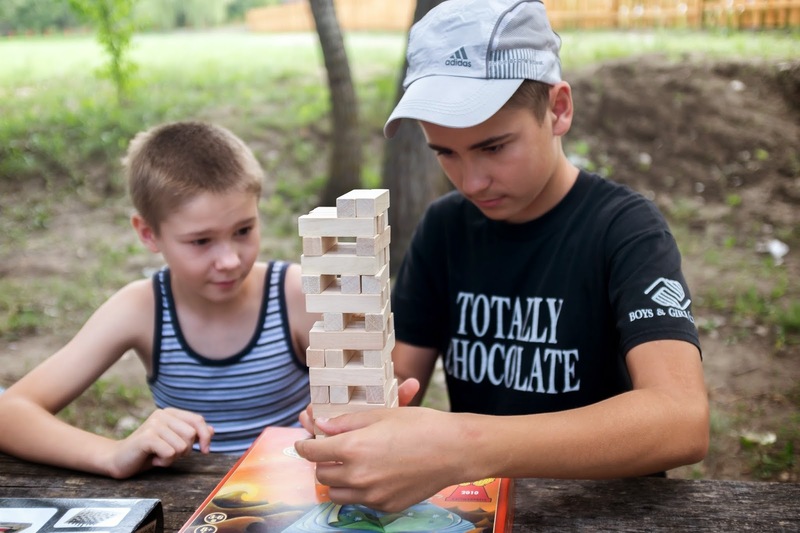 By organising such informal event, UNHCR Moldova alongside its implementing partners provided a chance to local refugees/asylum seekers to connect with other persons of concern and members of their local community and to have a great multi-cultural experience. 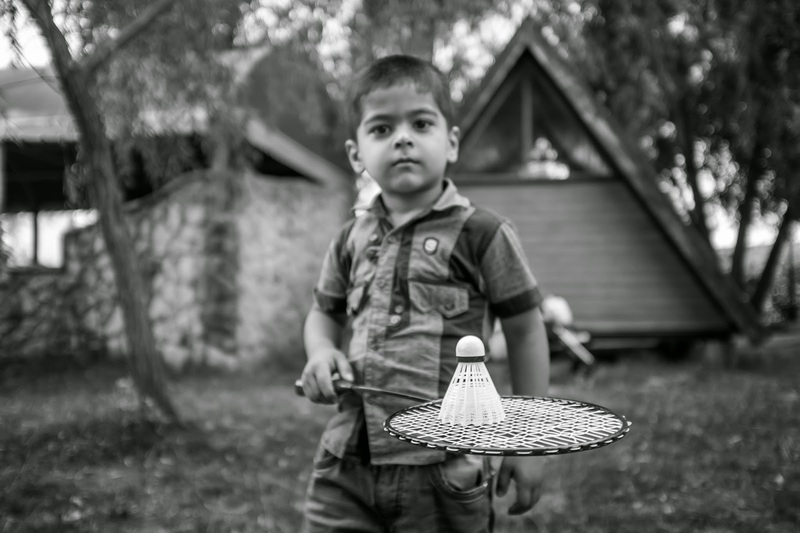 CCR is grateful to refugees and asylum seekers who helped in preparing the meal and provided its support in other activities. 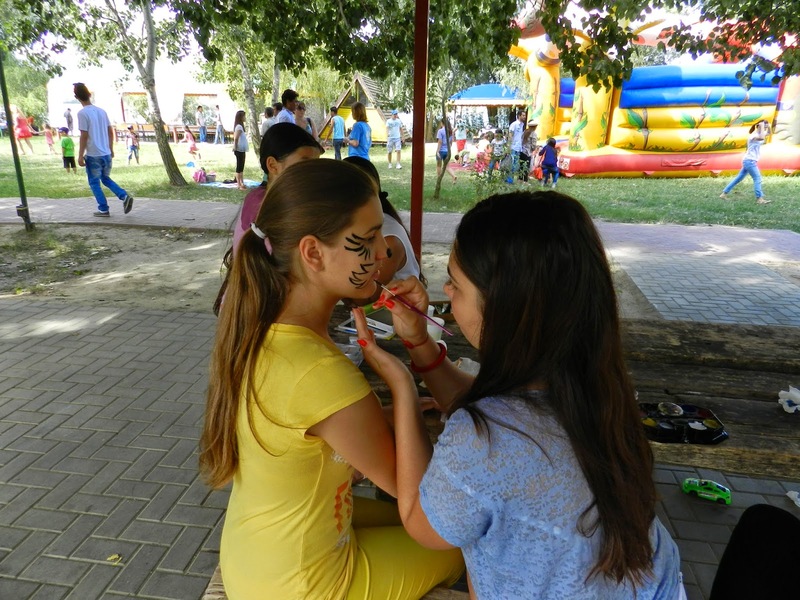 Besides that, the gratitude is expressed to EVS and local volunteers at CCR, who supported and helped the team to carry out all the activities specially prepared for the picnic.